Pick up from your cruise terminal by our private English speaking guide, who will hold your name sign for you to recognize. Start the sightseeing of this charming city. Drive to the city center to visit the Shanghai Musuem. It is a first-rate museum that is known as the Museum of Ancient Chinese Art. Proceed to visit the Oriental Pearl TV Tower in the modern Pudong area. It is an excing experience to stand on the world’s third tallest TV Tower for an panorama of the city. Then visit the Jade Buddha Temple, a famed Buddhsit temple which houses two delicate jade Buddha statues imported from Burma. After that, come to stroll along the must-see attractions the Bund and Nanjing Road. 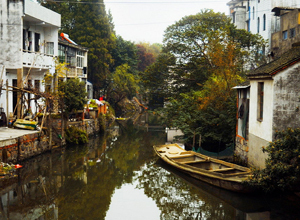 Most travelers to Shanghai would like to see the water towns around the city. Today we will go to visit the 2,000-year-old Wuzhen Water Town, located in Hangzhou of Zhejiang Province, where waterways thread their way through the flagstone streets and alleys. Today’s sightseeing gives an sight into Shanghai’s old past. Frist, come to the Shanghai Old Town. You will walk along the narrow alleys and cobblestone lanes and pass by many historic buildings as well as gardens, temples, businesses, and restaurants. The old town is well-known for one of the finest Chinese gardens in this region-Yu Garden, first established in 1559, as well as the Chenghuangmiao Bazzar (Temple of the City of God). The Chenghuangmiao Bazzar is an interesting place to find some local souvenirs. Afterwards, you will visit the Shangahi French Concession and see the typical Shanghainese style houses, known as Shi Ku Men (Stone Gate House). Be transferred back to your cruise port after the tour.